All of our trainers are educated in anatomy, physiology, and Lagree Certified. They understand that no two bodies are alike and will work with you to get fit at the right pace. Brooke discovered Lagree Method in San Francisco and was hooked after one class! She loves to be active and have tried most types of popular workout classes - but NOTHING made her as sore or changed her muscle tone like the Megaformer. During her free time, Brooke loves going for walks with her dog and family, and she loves playing with her two adorable little ones! FAVORITE MOVE: It’s hard to pick because they are all amazing! Wheelbarrow is top of the list because it’s so simple and so effective! After graduating college and running a few half marathons, Sofia was looking for a high-intensity but low-impact workout for cross-training. She saw that one of her best friends from high school was teaching at a studio in Oakland and after her first time she was hooked! As a former competitive gymnast and life-long athlete, Sofia loved the focus on core and stability that the Lagree Method offered, without the impact on her joints and spine. She loved how each and every class was always a challenge and that she was strengthening muscles she never knew existed. Outside of teaching, Sofia loves trying new workouts, spending time with friends and family, cuddling with her energetic dog, and trying new coffee shops and restaurants! 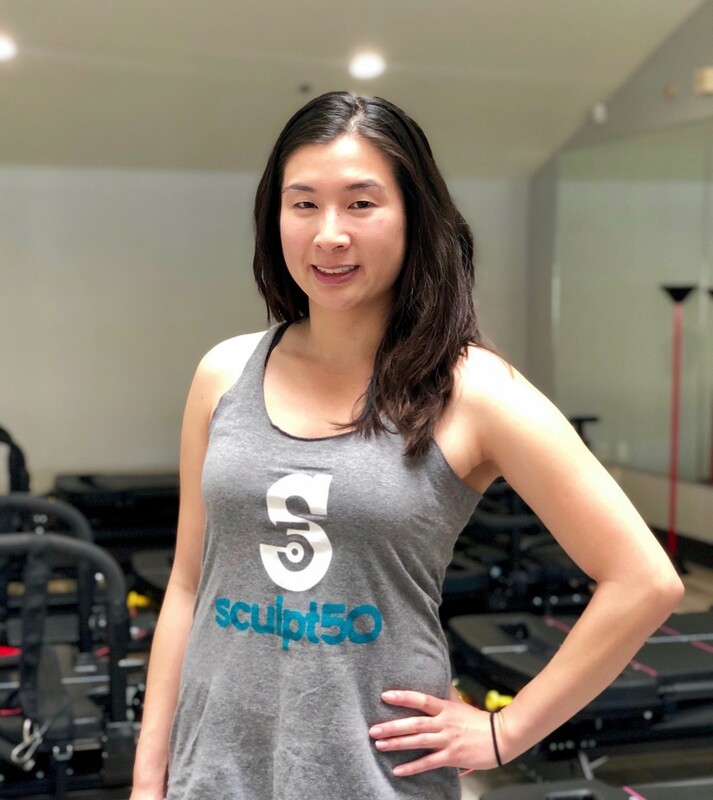 Lisa’s good friend introduced her to the Lagree Method, and within the first few minutes of class she immediately felt the intensity of the workout. As someone who used to have "workout ADHD" and didn't enjoy any workout enough to do it regularly, this workout regime was the only one she stuck to because it is efficient, consistently challenging, and has so much variety. You can catch Lisa taking advantage of the awesome California weather hiking, going to the beach, and she also loves expressing her creative side with pottery and painting. An LA native, Cat discovered Lagree Method two years ago. Her sister finally convinced her to take a class, and after dying in her first class, she knew this was the right workout for her! Cat loved the energy and intensity of the Lagree workout and the priceless feeling of accomplishment that comes with each class. Lagree challenges and pushes Cat in ways no other workout or activity has. When not teaching or taking classes, Cat stays active doing home workouts and surfing when she’s in SoCal. Taylor is a Bay Area native that loves to be active. She grew up playing soccer and still plays in an adult league with her mom. She also enjoys rock climbing, hiking, kayaking, and just being outdoors in general in her free time. Taylor immediately fell in love with Lagree after taking her first class, she knew fairly quickly that she wanted to be an instructor and share her love for Lagree. Go Sharks! Kelly fell in love with group fitness classes after discovering Pilates Reformer classes. As a gymnast her body craved a higher intensity workout, and with the Lagree Method she never felt more sore. After seeing immediate results, and more importantly, that her injuries were not aggravated there was no going back. She is thrilled by the challenge of Lagree and the impossibility of plateauing for herself and her clients! Outside of teaching, Kelly stays active with her pup, traveling or planning her next travel destination. FAVORITE MOVE: Scrambled Eggs for obliques and Plank to Pike for the lower abs. Ready to get strong? Our team is waiting for you.